Tonight, after a few weeks of new-veganism, I knocked up this hottie in my little kitchen. (I should rewrite that, but I’m not going to.) I have been working my way through a list of curries recently, partly for my new book, Cooking On A Bootstrap, partly for a challenge, as I had a jokey conversation with a few friends on Instagram about doing ‘a year of curry’, and partly because there are so many things I enjoy but have never tried to cook myself. And so tonight, vindaloo. ***My apologies for not costing this already but I can barely keep my eyes open, it’s 2am here, but I wanted to share this before I forget it and it gets swept into ‘recipes I mean to blog’. Forgive me, I will do the forensics later. I delved into one of my curry bibles, Camellia Panjabi’s ’50 Great Curries of India’ and of course, there on page 102, was a vindaloo recipe. Admittedly with lamb, but I substitute lamb for aubergine in recipes as a rule, and I rolled up my sleeves and started to make notes. The original recipe called for cinnamon, an innocuous storecupboard staple that I had donated to my Nan a few days before, for her roast potatoes, no less. (And I always wondered what made them so special!) And cloves, that I bought for Christmas and couldn’t find anywhere, the blighters. I last remember crunching on a few in the bathroom to deal with a toothache, but they weren’t in there either. Mind you, I no longer have the nefarious toothache, so perhaps in my delirious agony I munched the lot. Anyway, I replaced the cloves and cinnamon with nutmeg and cardamom, both delicious. I have allowed for either in the recipe. If you don’t like aubergine, use mushrooms instead. Red lentils could easily be kidney beans, baked beans, black beans, brown or green lentils, or yellow split peas; whatever you have in the cupboard or like. They are here to add texture and protein; all the other flavour speaks for itself, or rather, shouts and sings and dances. First peel and finely slice your onions and toss into a pan with a little oil. Bring to a low heat to start to soften the onions, and add the garlic cloves, whole and peeled. Dice the aubergine and add to the pot, stirring all to disturb and stop it from sticking and burning. Add your spices, but only half of your chosen quantity of chilli. It is easy to add to, but rather more difficult to temper down if you misjudge it, so I put half the chilli in to cook, and leave half to garnish. It means guests and dining partners can choose their own heat, too, which is ideal if everyone is a little different. So, add the cinnamon, cumin, star anise or fennel, and pepper, and stir well to combine. Add half a cup of water to the pan, and crank up the heat. It doesn’t look brilliant right now but trust me, it geets better. Thoroughly rinse your lentils. In a separate pan, cover them with water – no salt or the lentils will take an age to cook – and bring to the boil. I was initially tempted to throw them into the pot to make this a one-pot dinner, but lentils produce so much ‘scum’ that rises to the top of the pan, I didn’t want to mar my beautiful adventure, so doubled my washing up… When the water is boiling, reduce to a simmer for around 12 minutes until soft and swollen. Drain, rinse well to knock off the scum, and tip into the first pan. Add the tomato and vinegar and stir well. Bring to the boil, then reduce to a simmer, stirring slowlly and therapeutically every now and then. It should take around 10 more minutes to meld into this glossy, orange, spicy goodness, and the liquid should thicken to an unctuous sauce. If it is too watery for your liking, bring it back to boil, then reduce the heat and cook a little more. If the thought of 10 more minutes on the gas worries you, give it all a thorough stir, remove from the heat and cover with a plate or foil or baking tray for 20 mins. It takes a little longer but by insulating some of the heat, it will continue to cook and thicken as it cools. And ta-dah, you’re done! I served mine with a pile of spinach and ate an awful lot of it, fresh in from a 6 mile run and ravenous, but it would be delicious with simple boiled rice to make it go a little further. NextDon’t Throw That Away! An A-Z of leftovers, tired veg, etc and what to do with them. This looks lovely Jack and thanks for the “use mushrooms instead” suggestion, that was going to be my question. The amount of aubergine (blech!) that I’ve left out of recipes over the years would make a sizable pile! I added a can of chopped tomatoes to mine. Unable to see how it would have been red/moist enough otherwise. Hello. This looks lovely and I’m planning to make it tonight as ‘ve every thing I need, so no shopping. Fab. I’ve got a pedantic question though. The recipe says diced aubergine and everything amalgamated in one pot and cooked. The photo looks like sliced aubergines which look as if they’ve been grilled or at least cooked separately then added. The photo looks brill though. Thanks for this. Will let you know how it goes. 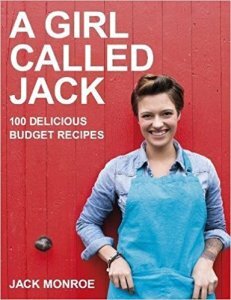 Hi Jack, My teenage daughter did a vegetarian January so I’m finding your recipes really useful! Just wondering what SB thinks of the vegan food? My not-so-sb is coming around slowly to the veggie concept! 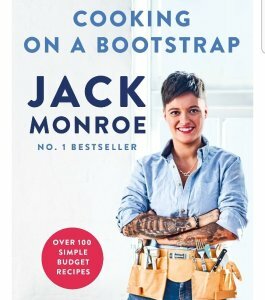 When is your new book available to buy?? Can’t wait to buy one!! Good Luck and the best of everything to you and SB!! This is wonderful and with all my favorite ingredients! On my healthy to make list this weekend. 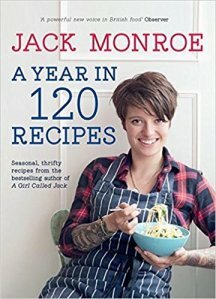 As usual Jack, rely on you to brighten up my weekly menu. Been veggy now for 40+ years so am always looking for new inspiration and you always deliver the goods. Love your ideas and have ordered the book, so I’m eagerly awaiting it. Good luck for now. I’ve only got courgettes so wish me luck ? I’ve just made this but it seemed really dry at the end with only half a cup of water, plus I only had one tablespoon of tomato puree so had to put ketchup in to substitute.I’ve put more water in hoping it turns out OK ? Lovely! Aubergines are on offer in Lidl this week and this looks fabulous! I started drooling just reading the ingredients. Also, thank you for the tip about substituting aubergines for lamb. Just cooked it. Delish! Thanks, Jack. Mmm Thanks Jack, I’ll be making this for Lady Barton St Mary and myself next Friday. I love your aubergine curry recipes. This looks so delicious. For those of you who’ve made it do you leave the aubergine onions and garlic on the heat whilst cooking your lentils, or should I remove them from the heat while the lentils cook? Thanks ? Most vindaloo recipes I’ve seen use ginger – any particular reason you’ve left it out? Didn’t have it in. The original recipe used it. I made it. Didn’t look as pretty as yours but tasted fantastic. Had a side of pickled carrots. Thanks for your recipes. Love them . 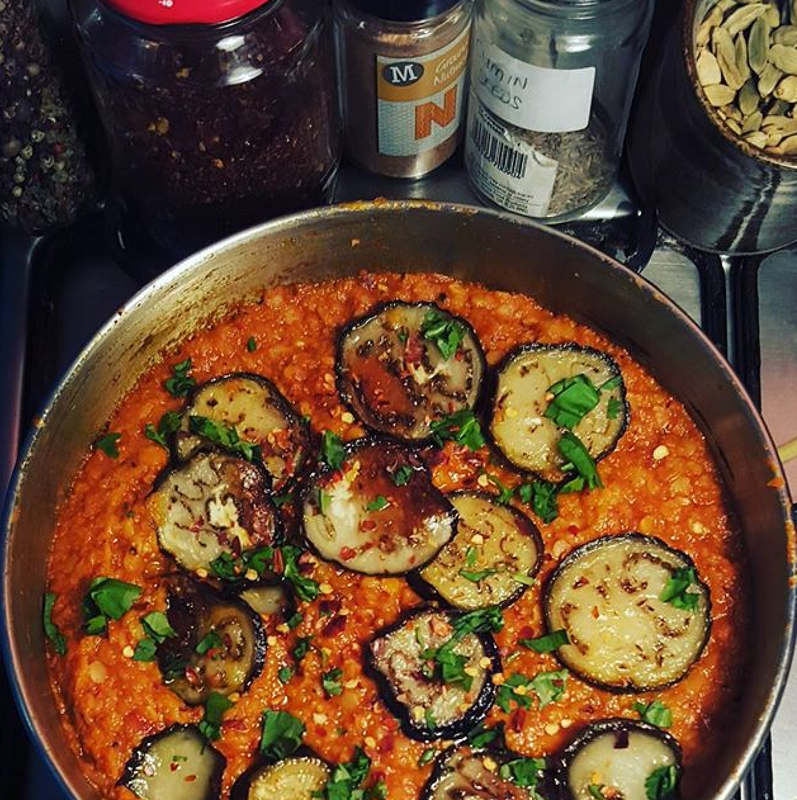 Made this yesterday turned out really well, definetly would do it again, I’m always on the hunt for aubergine recipes. Mine didn’t have that beautiful orange glowy lustorousness like in your picutre, but damn is it delicious! Yes, it’s dry and it will not be red. Red lentils turn yellow when cooked. Hi Jack, Made this, this morning and it seems a bit grey to me. Is the quantity of Lentils correct as they just disappeared into the greyness of the onion and Aubergine. However the taste is OK and I think it will be great with Rice or home made flat bread later. I made this this morning and it all looks a bit grey, are the Lentil quantities correct. Anyway it tastes fine and will make a good evening meal with rice or home made flat bread. This is just bubbling away on the hob now – looks fab so far. I put loads more water in though. It would have been bone dry otherwise. Just had this for dinner and my 2 year old jammed it all up! I added cream for him because he loves yoghurt or cream on curries and green chillies for me. Couldn’t get it as rich and saucy as the picture but it still tasted amazing. This is cooking on my stove – delicious! I also love Camellia Panjabi’s omlette curry. I am sure that that would also work with tofu, deep-fried tofu or tempeh – the sauce is great. Hi Jack take it in pic you served with some fried aubergine onto as well as dicing and adding at start…? Apolgies you answered my question at the start of the list. On the stove now with 2/3 diced and some saved to fry for on top! Yum. I have just made this but did not have red lentils. It’s still good with green, although not as pretty to look at, alas. I agree with what someone else has said – it’s definitely too dry with just half a cup of water. I ended up adding 3 times that. I also found I needed to double the amount of spices. Looks amazing going to try this after my next shop, recently discovered that sg likes lentils so bring on the lentil recipes! Does anyone know if I could possibly throw this in a crockpot instead? I read so many vegan recipes but this recipe is looking unique and different. I have decided to try this yummy vegan recipe for tonight dinner. I will share about taste tomorrow. Moreover, thanks for this nice recipe. Please keep more yummy recipes. Hi, Just checking if I’m missing something. So this recipe I don’t need to add Vindaloo Curry? I think would be improved by toasting spices first instead of just adding to veg. (I had to add extra tempered spices as did not have enough flavour). Also, specifying amount of oil would be helpful as the curry won’t get lovely sheen if not using enough. Did not taste garlicky despite all this garlic, perhaps chopping the garlic would help. Not as good as some of the other recipes tried on this website. Turned out ok with quite a bit of tuning. I discovered your recipes via the BBC & Guardian; as a vindaloo fan for decades I intend to try this one tonight. I’m not a vegan (well, not yet, but gently heading in that direction); the main attraction for me is that your recipes are both healthy and delicious. Your work deserves to be better known to the millions struggling to make ends meet under the ‘austerity’ scam perpetrated by the sociopaths currently misruling Britain. I congratulate you on your creativity – not just culinary – and your gutsy approach to life. Thanks for the tip about freezing ginger. I find it almost impossible to grate, and end uo with small chunks! Will try freezing. Made this last night-delicious, thank you!